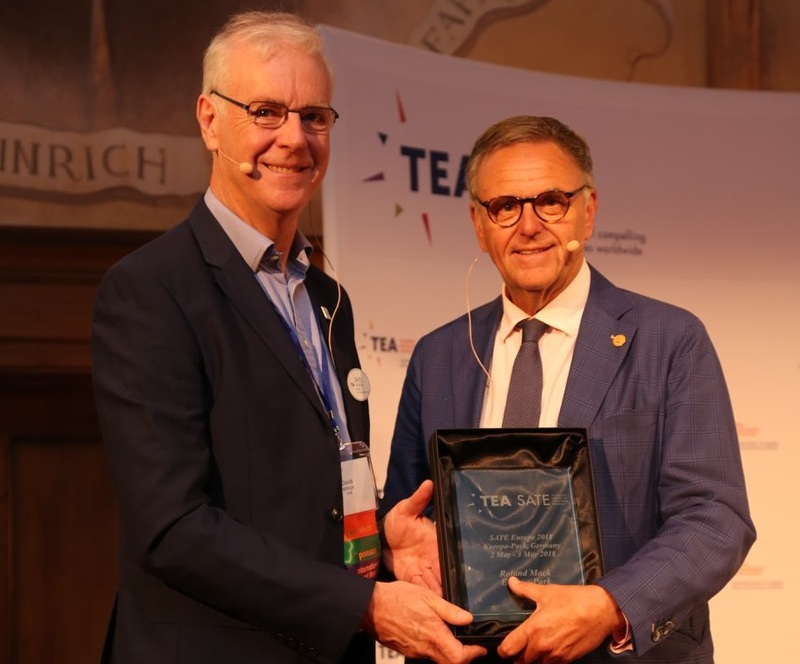 Many thanks to Euro Amusement Professional (EAP Magazine) for this excellent, succinct report on TEA SATE Europe 2018. Reprinted here with permission. 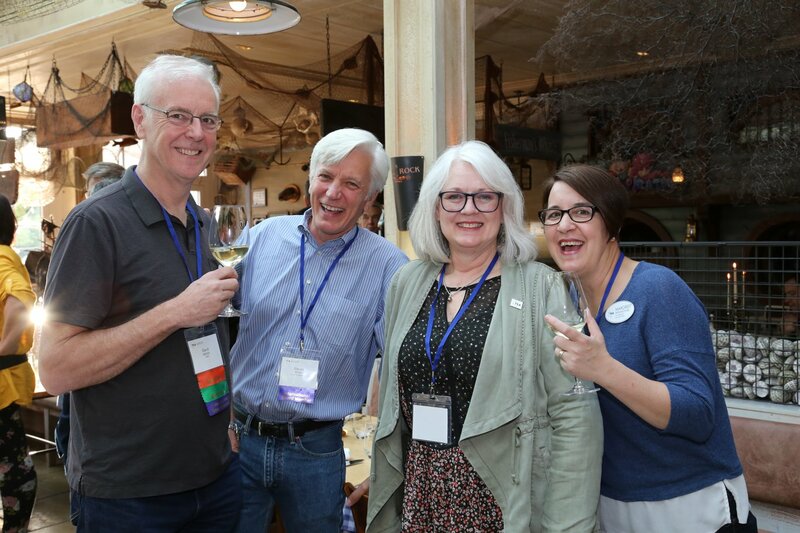 The next TEA SATE conference will take place at SeaWorld Orlando, Oct 4-5, 2018; tickets are now on sale. 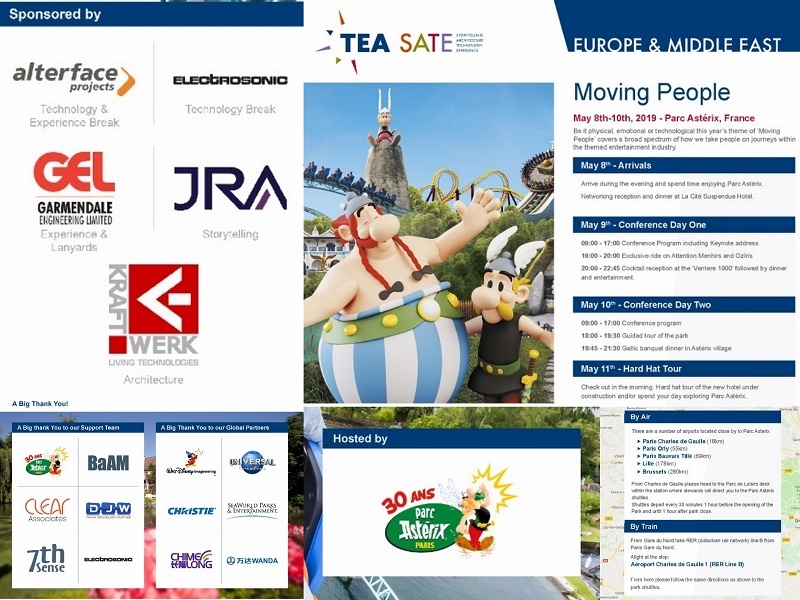 On May 2nd & 3rd, 2018, the Themed Entertainment Association (TEA) held its annual European conference on future trends for amusement parks at Germany’s Europa-Park. Some 120 participants from 17 countries came together in Rust to discuss topics such as storytelling, architecture, technology and experiences (“SATE”), especially concentrating on the increasing use of VR and projection technology as well as digitalization. The conclusion of the experts: The guests’ feelings related to a theme park visit will continue being the most decisive factor in the future, technology will continue to be a tool to successfully transport immersive storylines. 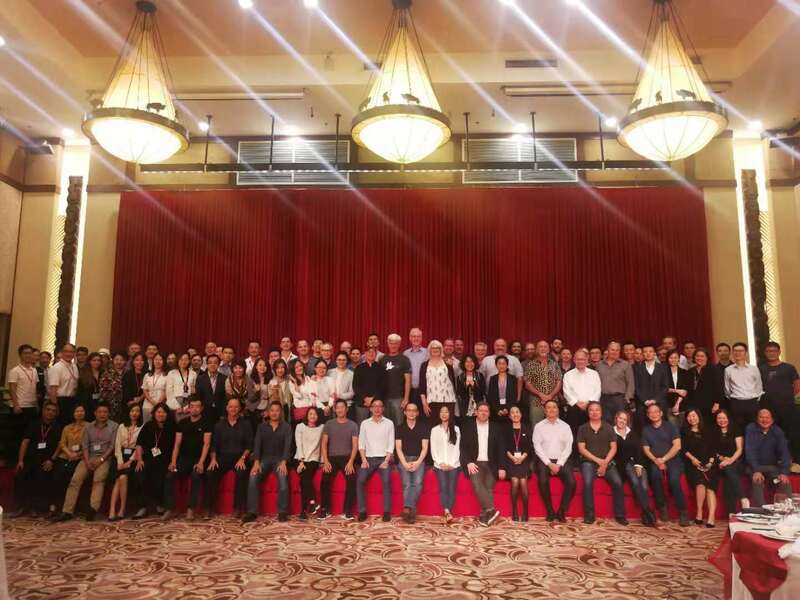 Furthermore, the expansion of the Asian leisure market, digital future technologies (e.g. rooms that interact with guests or an all-new sound system that is able to provide different language versions of a movie at different places in a theater) as well as shopping malls becoming entertainment places were discussed by the experts. 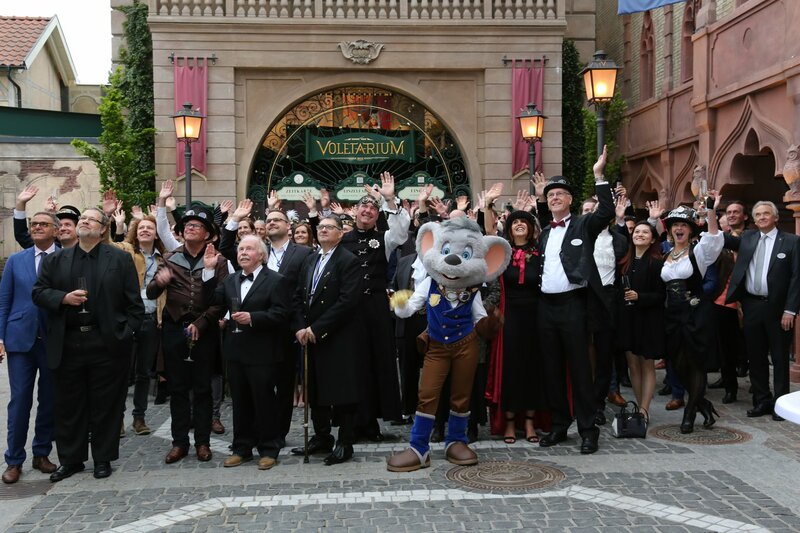 The host of the event and Europa-Park Owner, Roland Mack, showed on behalf of its own family history which challenges his company had to overcome in the past and what will be the main challenges in the future. 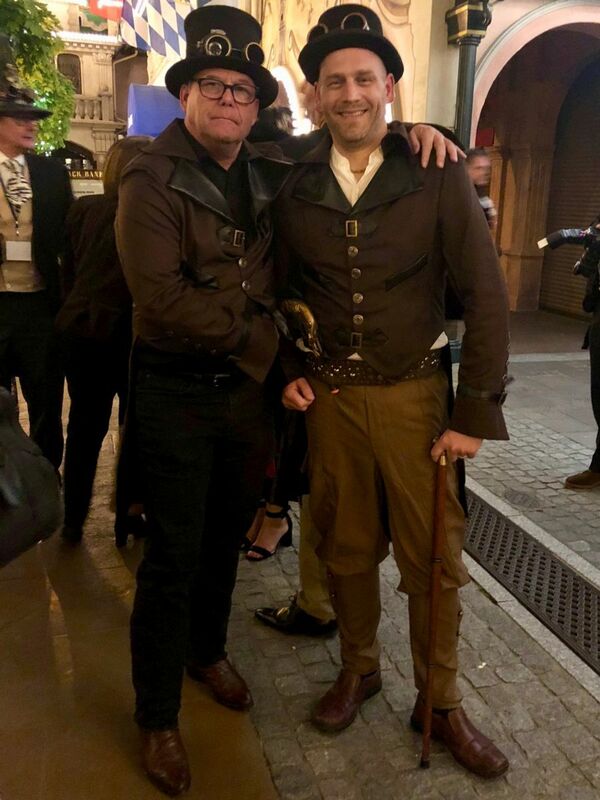 in steampunk garb at SATE Europe 2018. 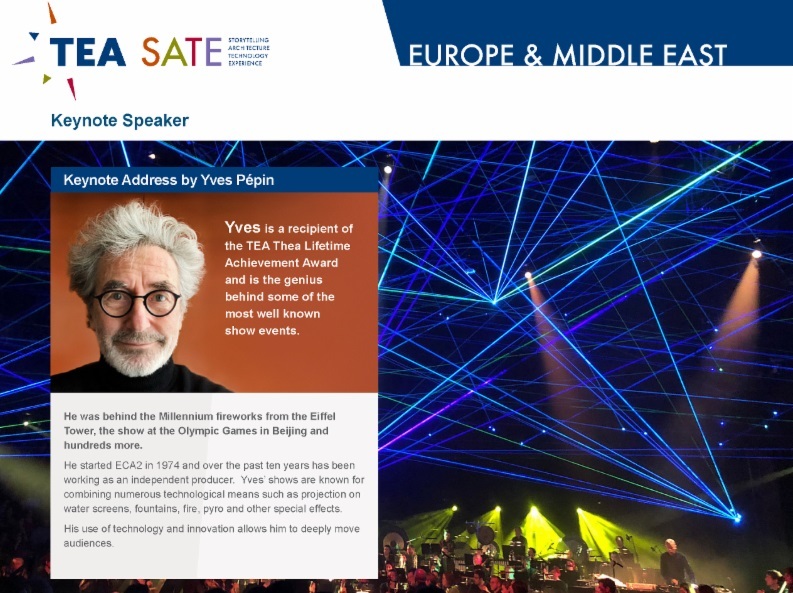 The next time the TEA SATE conference convenes in Europe, there will be a new president as head of the association. David Willrich, whose second term as the TEA’s International President will end in November 2017, will officially pass the “presidential gavel” to his successor, Michael Mercadante (President & Senior Exhibit Designer of US company Main Street Design). Also, the association recently celebrated the 24th Annual TEA Thea Awards Gala at Disneyland Resort in Anaheim, California.